- Etsy's IPO opened at $31 per share, hit a high of $35.73 before closing at $30 even. - WTI closed on 4/17 at $55.74 up 8% and Crude Oil $63.45 up 9% from the week before. - Coca-Cola Co to buy China Culiangwang Beverages (multigrain drinks) for $400.5 million. - U.S. consumer price rose for the 2nd month in a row (strong sign of inflation). - Antitrust lawyers said leaning against Comcast's bid to buy Time Warner Cable Inc. The Dow Jones Industrial Average closed at 17826.30 on Friday, April 17th 2015, which is down 1.28% from last Friday the 10th. The triangle trading pattern continues to be prevalent and the focus of our analysis. With Friday's activity more or less wiping out the entire week's gain on high volume, we should be cautious and watch for follow through downside action. A retest of the 17600 level could be eminent. The stochastic indicators at the bottom of the chart continue to suggest that we are in overbought territory. 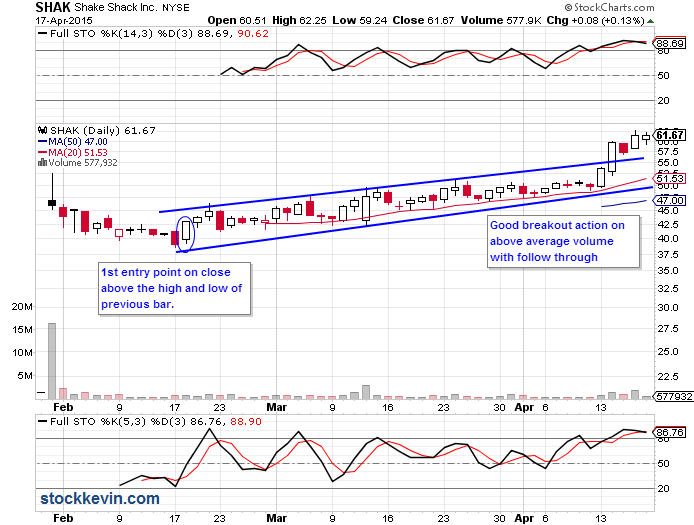 This past week did not work off much of that STO indicator; in fact it just pushed it more into being more overbought. A pullback is likely to continue or some sideways action would be good for bulls. Again we are watching for a breakout above 18100 or breakdown towards 17700. The S&P 500 closed at 2081.18 on Friday, April 17th, 2015. 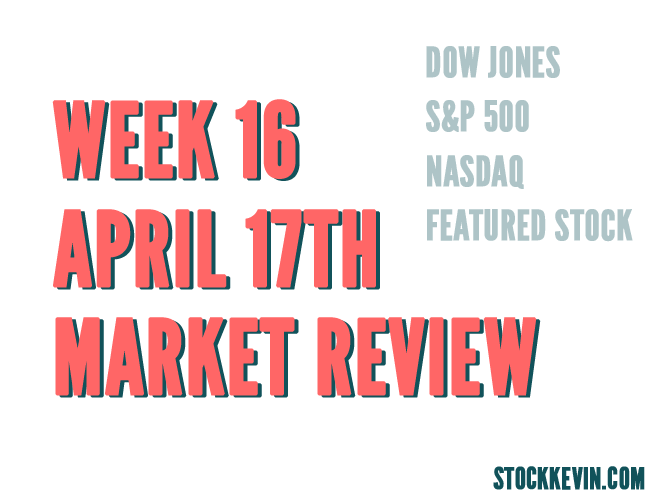 The S&P was able to hold itself up much better than the DJIA with only a 0.09% decrease compared to the prior week. 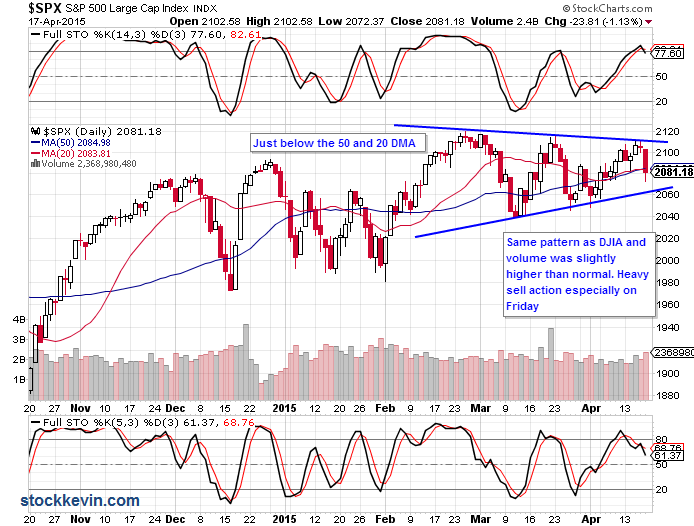 However, the triangle pattern is beginning to form similar to that of the DJIA. Friday's volume was the highest of the month and particularly on a Friday. 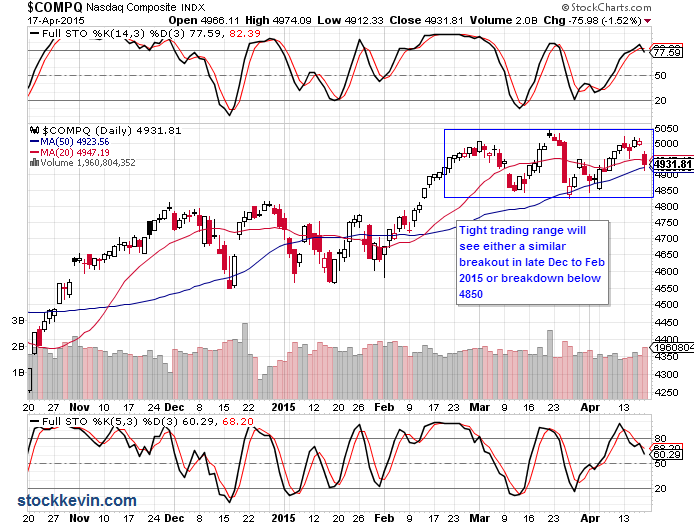 Although we are still trading at about the 50 and 20 day moving averages, bulls should tread carefully. Like the DJIA, sideways action would be good for the bulls, otherwise the overbought indicators suggest further pullback is likely to occur in the following week. The Nasdaq closed at 4995.98 on Friday, April 17th 2015. This was a decrease of 1.28% from last Friday the 10th. The Nasdaq appears to be the strongest of the three indices at the moment. It is currently above the 50DMA and is still trading within its range.This is a positive sign for bulls. 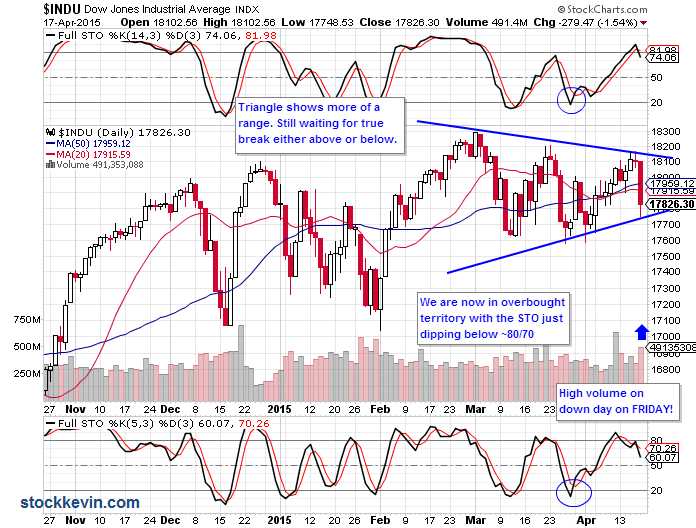 However like the S&P and DJIA, the stochastic indicators suggest we are in overbought territory. However, any break below the 50DMA would suggest a retest of the bottom of the trading range. Shake Shack (SHAK), a New York-style hamburgers restaurant business, closed at $61.67 on Friday, April 17th 2015. It recently IPOed on January 30th, 2015. Since its descent from a high of 52.50 on opening day, it has since rebounded to an all-time high last Thursday of $62.75. There were two entry points for trading SHAK in the past three months. The first coming toward mid-February whereby a reversal candle indicated a shift in the price trend. The second trading opportunity came when it broke out of its recent trading range on the 14th of April. As always you'd have to control the downside risk and put your stops accordingly. For example, a stop just below the previous day close on the 1st trading opportunity would have been sufficient. Then you would raise your stop as the trend continued upward.